IF YOU HAVE a Gmail account, soon you will be able to email anyone without needing their email address, as long as they’re on Google+. 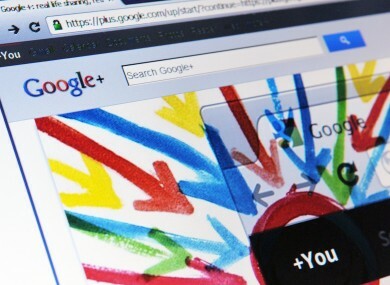 Google is rolling out the new feature which will integrate Google+ into its mail client. This means that anyone on its social network can send messages directly to your inbox. When you’re writing out a new message, Gmail will suggest people from both your contacts list and your Google+ circles. If you’re connected to someone on Google+, their email won’t be displayed and won’t be visible unless they send you an email. Likewise, your email address won’t be visible to them unless you mail or reply to them. Those who have access to Gmail tabs will see each mail go into different categories. If you’re already friends with someone on Google+, the mail will appear in the Primary tab. Those who aren’t will be filtered into the Social category. For anyone who isn’t thrilled at the idea, you will be given the option to opt-out. Users will be provided with an ‘Email via Google+’ setting which allows them to limit or switch off the feature entirely. The feature will be available to all Gmail and Google+ users over the next few days, and Gmail users will receive an email when it’s made available. Email “Gmail change will soon allow anyone on Google+ to email you”. Feedback on “Gmail change will soon allow anyone on Google+ to email you”.